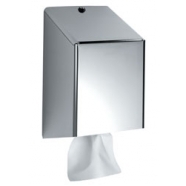 Our Stainless Steel Paper Towel Dispenser are ideal for industrial & Commercial Washrooms that require heavy duty use. 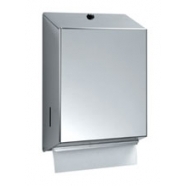 These Stainless Steel paper towel dispensers & holders include wall mounted and wall recessed models in a variety of sizes and designs. We also stock other Washroom Accessories including stainless steel soap dispensers, toilet roll holders, waste bins and combined paper towel dispensers and waste bins.